Morgan usually has trouble jumping, but not when left unattended with some lasagna. Posted December 21st, 2013 . I understand, Morgan. Pasta should not be left unattended! Morgan seems to have her/his head screwed on…it was an emergency and she/he acted. She/he should be with the Emergency Services they could do with a standup chick/dude like this. 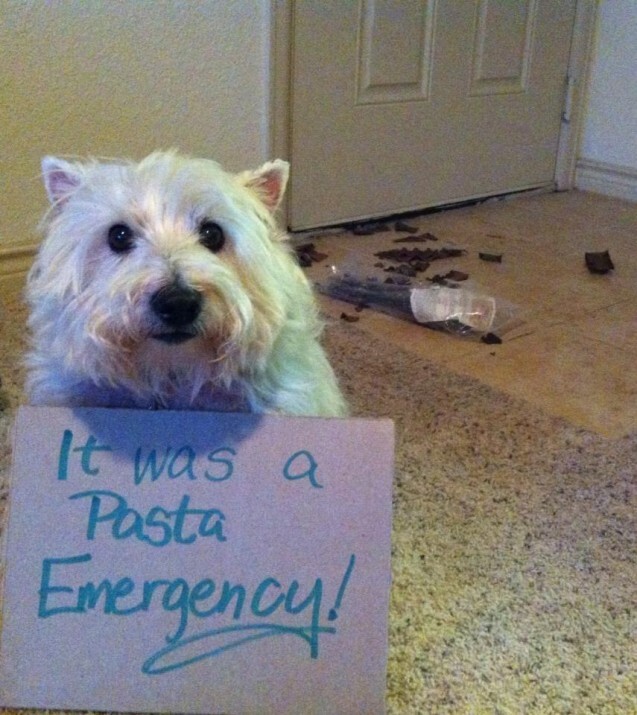 Who HASN’T had a Past Emergency?! Garfield told him/her to do it!